A book from the Effective Software Development Series, written by Peter J. Jones. 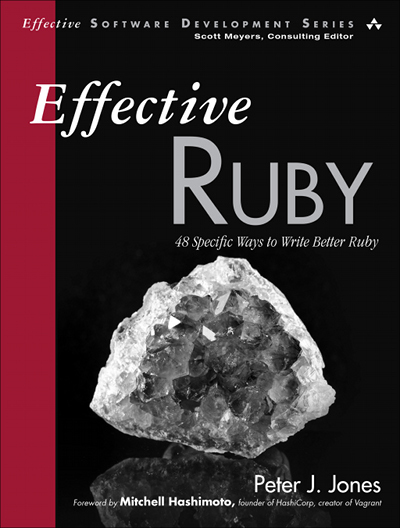 Practical advice for intermediate Ruby programmers, split into 48 actionable items. Kick bad habits from other languages and embrace the Ruby way of doing things. 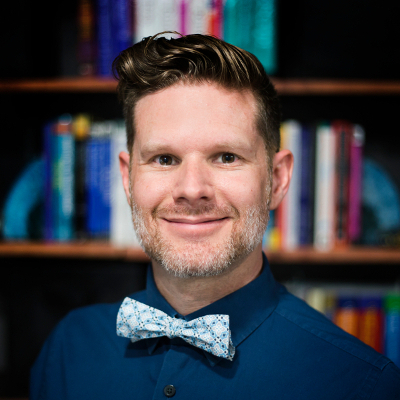 Expert guidance on Ruby internals such as the hidden inheritance hierarchy and the generational garbage collector in Ruby 2.1. Buy the book at InformIT.com then follow the Twitter account for announcements and Ruby tips. Peter J. Jones has been working professionally with Ruby since 2005. He began programming before he learned how to use a keyboard properly after stumbling upon a Commodore 64, a few code listings, and some cassette tapes. Peter is a freelance software engineer and a senior instructor for programming related workshops taught by Devalot.com. He tweets Ruby tips at @EffectiveRuby and personal junk at @contextualdev. Copyright © 2014-2016 Peter J. Jones.